Since Julius Maada Bio came to power in April 2018, access to energy has become more democratic in Sierra Leone. The new wind is driven by solar energy as projects are multiplying across the country. Karyadu is a small village located in Kono District in eastern Sierra Leone. People usually use oil lamps to light up at night. To charge mobile phones, they have to travel miles to the nearest city. But solar energy has changed habits given that the company Ignite Power has installed a mini-grid. From now on, all the families in the village will benefit from electricity, children will be able to read at night. Villagers will be able to recharge their mobile phones more easily and even listen to the radio. Schools will also benefit from the installation, which could allow students to study in the evening. “We believe that development requires empowerment and that the private sector has a vital role to play in finding sustainable solutions to help Sierra Leone’s development. Solar energy not only keeps people awake after sunset, but also gives them the hope and determination to create a brighter future for each other together,” says Ezi Rapaport, founder of the Rapaport Group, a diamond industry player and highly involved in the development issue in Sierra Leone. In fact, Karyadu is not the only village that benefits from Ignite Power’s solar mini grids. More than 44,000 people are already consuming off-grid energy produced by this booming company on the African continent. 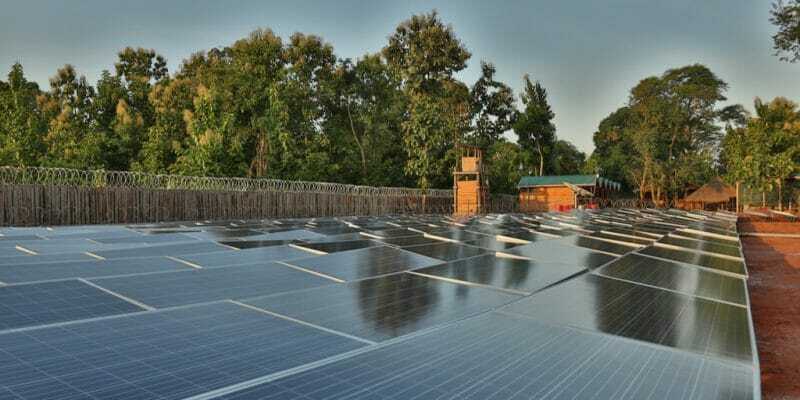 Sierra Leone will soon have several solar power plants with a combined capacity of 40 MW. After several months of negotiations, with debates and votes in parliament, an agreement was reached at the end of November 2018 with Planet Solar Energy. The company wants to produce 25 MW at a power plant to be built in Makarie Gbanti, Bombali District, 195 km from Freetown, the capital of Sierra Leone. Finally, an additional 25 MW will be produced from several mini-hydro plants located in the localities of Kambia, Portloko, Kamakwi, Kono, Mile 91, Moyamba, Pujehun, Bo, Kailahun and Bonthe. It is a public-private partnership. The energy produced by Planet Solar Energy will then be sold to the Electricity Distribution and Supply Authority. The agreement between the Ministries of Energy and Finance provides that one kilowatt of electricity will be purchased for 12 cents. The operational life is 20 years. Funding for the project was provided by the US Trade and Development Agency (USTDA) and the International Finance Corporation (IFC), the World Bank’s corporate branch.